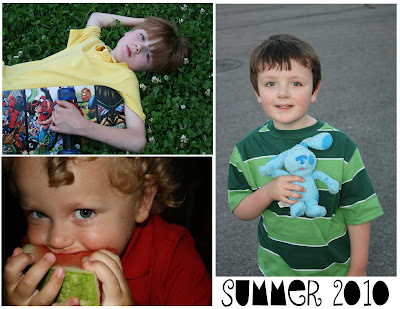 This week's Sunday Snippet...Pictures of my three boys enjoying some summertime moments! They are the greatest gifts I have ever received. I just love their sweet little faces!!! They are such a huge part of my happiness! "With each spring comes new life, energy and green growth. In summer comes the sun, warm, kind and enduring. Fall brings its canvas of color in careful, gentle change. Winter brews into faithful strength, beauty in pure white. And then comes you. You are all that Nature offers, a blessing, a gift.. You are the fifth season."